As a 100% Minority and Woman owned and operated business since 1988, Laserfleet is committed to building bridges between ourselves to all segments of society. 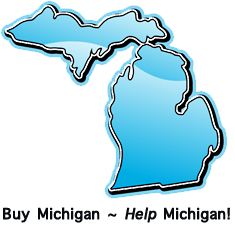 We are a Michigan based company, hard working and dedicated, providing money and jobs to many within our local community. In order to earn your business, we know we must first earn your trust. Knowing this, we are prepared to do so, through the demonstration of our customer commitment, up front and honestly. Being a contributing and productive member of society for over 22 years, Laserfleet has proven itself, time and time again. Just ask any one of our loyal customers. The goal of Laserfleet is to provide to our customers complete satisfaction through the rendering of the very best products and services, at the lowest, affordable prices. By helping Laserfleet, you’re also helping yourself to unbeatable, superior quality and professionalism, as well as helping our local community as a whole.